My mother always used to do rice salad with tuna, olives, and lots of other ingredients; It was always seasoned with extra virgin olive oil and salt rather than mayonnaise. I still adore rice salad with tuna, but for a meat BBQ side dish that doesn’t always work (especially when hubby can’t stand tuna!). This is my Italian/Mediterranean take on the English rice salad made with mayonnaise. I’ve not added quantities as this will depend on how many people you want to feed…and you can adjust the ingredient quantities to suit your individual taste. Mix all the ingredients together, taste and adjust seasoning if needed. Cover with clingfilm and refrigerate until needed. Food safety note: Rice can quickly become unsafe to eat as it contains spore-forming bacteria. 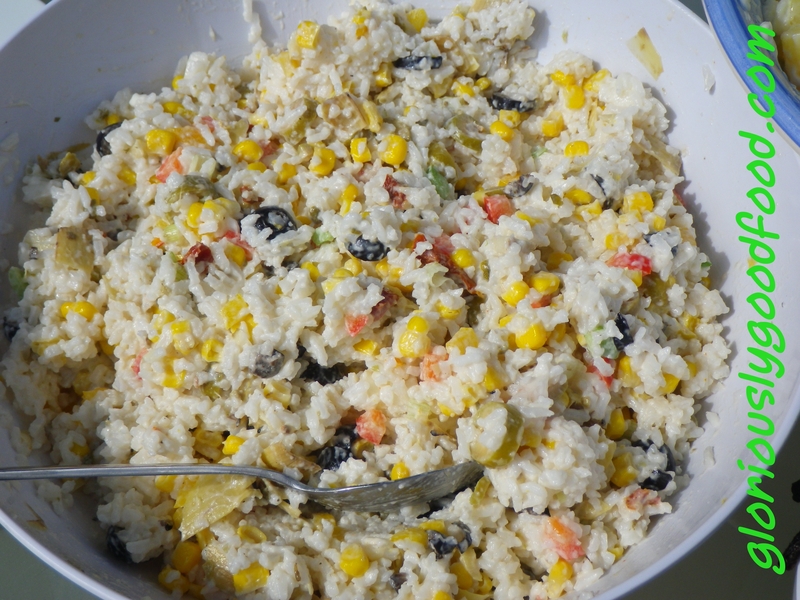 Always keep cooked rice refrigerated and, in the case of rice salad, which will be eaten cold (i.e. without re-heating to kill off any bacteria), consume within a couple of days. Rice Salad – Gloriously Simple, Gloriously Good! 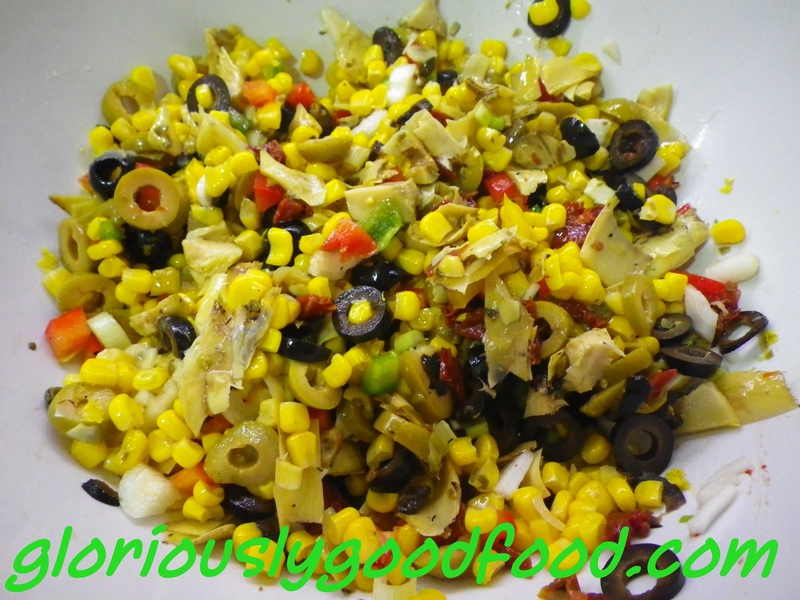 This entry was posted in Italian, Pasta & Rice, Quick & Simple Lunches, Vegetables, Vegetarian and tagged artichokes, boiled rice, capers, mayonnaise, mediterranean rice salad, olives, rice, rice salad, spring onions, sundried tomatoes, sweetcorn. Bookmark the permalink.